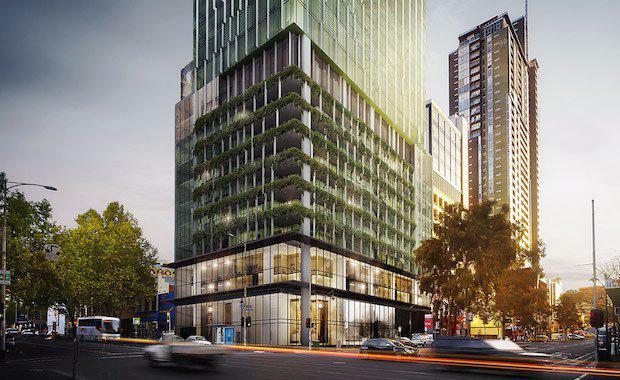 Golden Age Group, has unveiled its new residential tower in Melbourne’s CBD, Victoria One. Elenberg Fraser, the $350 million 75 level tower will stand on the corner of Elizabeth and Franklin Streets and add 629 apartments to an area of the city presently undergoing rapid reinvigoration. Expected to commence construction later this year, it will feature 115 one bedroom, 482 two bedroom and 32 three bedroom apartments ranging in size from 41 to 92 square metres. Golden Age Group Managing Director Jeff Xu said the building’s design aimed to celebrate the best of Victoria, with inspiration drawn from the state’s natural landscapes and reinterpreted in an urban setting. “Victoria One will be a landmark and Melbourne icon for years to come, showcasing the best of Victoria and the talent of one of the city’s best architectural practices,” Mr Xu said. “It will be a building that is always transforming, with the strategic use of the fins dotted at varying points throughout the façade creating the illusion of movement from wherever you observe it. "“Interest in Victoria One has been unparalleled with more than 60 per cent of the project sold to local buyers already. Elenberg Fraser director Callum Fraser said form and façade of the building recalled Victoria’s most famous landscapes – the gardens, waterfalls, rainforests, waterways and beaches that make up the state.